Day 10 is Common Misconceptions, but I feel like in my case I already answered that under the Facts and Fictions category, so I am going to skip it. And since I am not a big fan of short, snappy posts on here, I am combining days 11-15 into one big post on Community. Years ago, I used to be a very active member on a now-defunct forum called Otherkin Alliance. A friend of mine on the forum then created an otherkin chatroom. It was through these two venues that I made the bulk of my friends, and my sense of community came from. It was even how I started to get close to my partner, Z. After a blow-out with the founder of the forums over them refusing to take the time to even get my name right, I stopped going. A year or so later, the chatroom dwindled to a couple of us who still use it, and the random passer-by. The past year has been about not having an online community. 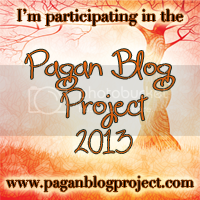 Recently, however, I started posting on The Cauldron, a large pagan community. I had been a lurker on and off for several years, but did not feel comfortable posting there because I did not feel like I belonged, nor like I would be accepted. But, so far, so good! I miss community, and really want to get back into a couple, to feel more connected, involved, and have another place that feels like home. I do not have a strong community offline, either. I have severe anxiety issues, including social anxiety. I have been getting better and can even attend parties without much issue. But it is keeping me from going out there and trying to get involved in the local groups. Growing up, my father cut off communication with his side of the family. So my family included my mother, father, sister, one grandmother, two aunts, two uncles, and a cousin. In my later teen years, my father walked out on us, and there was the birth of a new cousin. I told my mother and aunt about the otherkin thing a long time ago; I am not sure how seriously they took it, or if they even remember. My grandmother actually found out on her own and called me on it. My family is dysfunctional and unhealthy, but I will give them credit when it comes to being generally open-minded in the religion department. Since I moved out of the state, my communication with them has been a lot less, as I am focusing more on healing myself. I have a small handful of online friends, most of which are otherkin, and several of which I have since met in person. I was never very social and tended to keep to myself growing up, so tend to do better with either meeting people online, or through others. I have a really good friend in person who does not know about the otherkin thing, but do not see him having an issue with it if I told him. Other than that, I sometimes hang out with my partner’s friends, when they get together. I am polyamorous, and currently have one SO that I am absolutely, head over heels for. He is a lot like me in a lot of ways, and is also otherkin. It is great, because we do everything together and there is a very solid base of understanding between us. I have a few other partners that are not in bodies – spirit spouses. Sometimes, the relationships are not so clear-cut. But the ones I feel safe in calling a significant other (meaning I have actually approached them about it and asked) include Sariel, Samael, and Dionysus. I have not gotten up the courage to deal with definitions with anyone else, yet. This entry was posted in Uncategorized and tagged 30 Days of Otherkin, Community. Bookmark the permalink. I remember going on the Otherkin Alliance time to time, but I slowly drifted out of it. Though I loved the fact that I felt like I had community of people to bounce ideas and experiences on, part of me (even to this day) still felt as if I stood out somehow. I made a few friends though :). But me being ever optimistic still hopes for a website with a strong, open and enduring Otherkin community. Ever other site I visit seems to have been shut down after a while.